Back from the dead, it’s time for another Toy soldier of the Week! This week, Sgt. Dutch was nominated for TSOTW! Partially because of all the hard work he has put into the TSU as administrator for almost 7 years. But mainly because he could no longer veto the votes on the nomination! But seriously though, it has to be said. 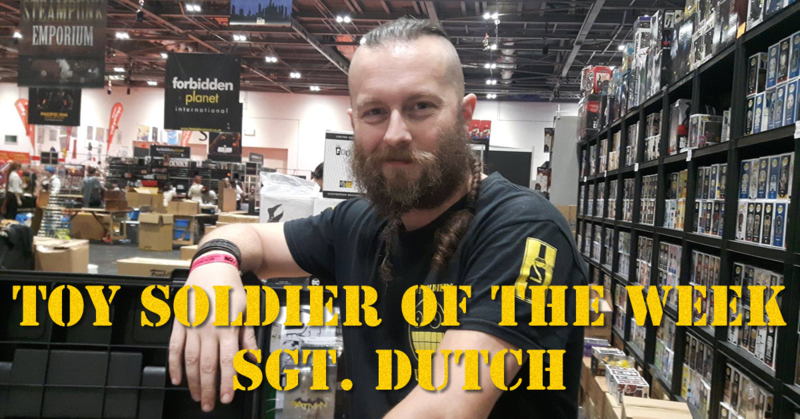 Dutch has been a solid backbone for the army for many years. And has provided many members, old and new, with irregular scheduled entertainment. Keeping the armory up and running, and sending you all the merchandise you could possibly buy. Being the main contact in both the Discord server as well as through the contact form. To the point where he could not take it anymore and finally caved in making me admin as well. He was a great administrator, as much as he still is a great friend and influential member for the TSU. And we hope to see much more from him, now that he doesn’t have to spend that much time behind a PC. Replying to emails, paying bills and making sure that the Q.V.R.E.S.S. doesn’t explode. Want to nominate someone for TSOTW? Toy Soldier of the week? More like Toy Soldier of the year! And the previous year, and the year before that. Thank you, you strange, strange codemonkey.